I’ve noticed a new (tool-)bar at the bottom of the preview window starting with RW 8.1.1. What is this User Agent setting good for? The User Agent setting is used for selecting which device type you want to use for the preview. aha nice, but isn’t this handled by the device simulator already? And I usually can resize my RW working window to some degree. Since I am working on a small mointor (13"MBpro) most of the time I couldn’t see a diffrence when changing form Desktop to iPad. When I click the dropdown menu on the right side nothing changes. What I am doing wrong…? Grab the side of the window and drag to resize the view. aha nice, but isn’t this handled by the device simulator already? This feature was “brought back” and improved after complaints about it being taken away from RW7 preview mode. Quite honestly I never use preview mode anymore, the simulator in 8.1x is much faster and easier than preview. Hmmm. But the is what I could do before. Where is the advantage of the tool? That was taken away in RW 8.0x versions. As I said in the other post some folks complained so they added it back. The “User Agent” is supposed to "spoof’ different device types. Let’s say you used Joes Agent stack to shoe different content on iOS devices, the User Agent view should let you see that it’s working correctly without having to physically publish it and use an iOS device to test it. The size view doesn’t really matter in this case because it’s just pretending to be a particular device, not a particular screen size. At least that’s my understanding of how it should work. No need to apologise. I don’t use use it or need it. I just tried to explain my understanding of how it should work. If it doesn’t work that way, I’d contact Realmac support to get a more accurate description of its function. The manual function is useful for responsive sites, as you can drag it quickly to see how your breakpoint points kick in and what effect they have on your layout. I think it’s still a useful tool to have as it’s a mistake to think that iPad and iphone views are all you need to worry about, there are a lot more screen sizes/aspect ratios than you could have settings for, so a quick way to see how they look as you change them manually is a good thing i my opinion. The presets for iPad, iPhone don’t work for me on preview, and I don’t think the “User Agent” is really the right term as afaik RW only provides window sizes (also true for the simulator options) not actual user agent info. Maybe more to add to the bug list for RW. I really haven’t used preview much since the simulator came out. You can achieve the same results with the simulator set on custom. Simulator in 8.1x is so much faster than preview. You can also have multiple custom windows preset for each breakpoint, have your edit window stay open, and changes you make appear almost immediately in the simulator window(s). 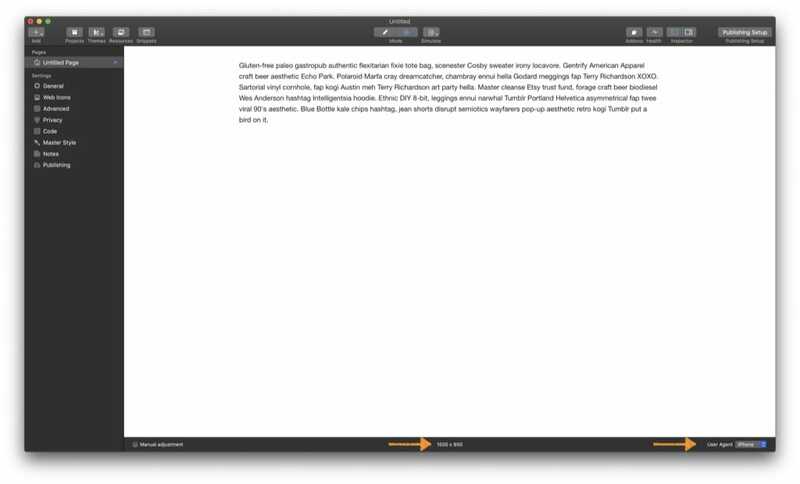 With preview, you have to wait for the page to regenerate each time. Anyway if you found a bug in preview then you should make sure you doc it and send it to Realmac Software Support or it probably won’t get fixed. Posting here doesn’t necessarily add it to any “bug list”. Simulator is a fantastic addition to RW, especially if you have multiple monitors. However there is still a place for preview as it has a small bit of functionality that simulator doesn’t have at the moment. As for bugs, I was more agreeing with the OP after having a quick look. I’ll have a proper look later on when I have more time to get more details and send a better bug report, I do know how to send them, I have sent quite a few in the past and will continue to do so in the future. You’re misunderstanding how the UserAgent works. Most stacks do not use the UserAgent when determining when to show/hide content or how many columns are shown. Most stacks use the width of the browser window to determine these things. The UserAgent is different and there are stacks (like the aforementioned Agent stack) which can do different things based on the actual device. For example, you could use the UserAgent to detect if a user is actually using an iPhone and not just using a narrow browser window. It can also be sued to determine if the user is running Windows or Android, etc. The UserAgent drop down does change the UserAgent header sent to Preview. Here’s the UserAgent header sent for each option. OKAY. Let me be a little more specific: In the example I used two similar stacks. I configured one stack to be displayed only on the iPhone/iPad and the other stack to be displayed only on the iPad/Desktop. 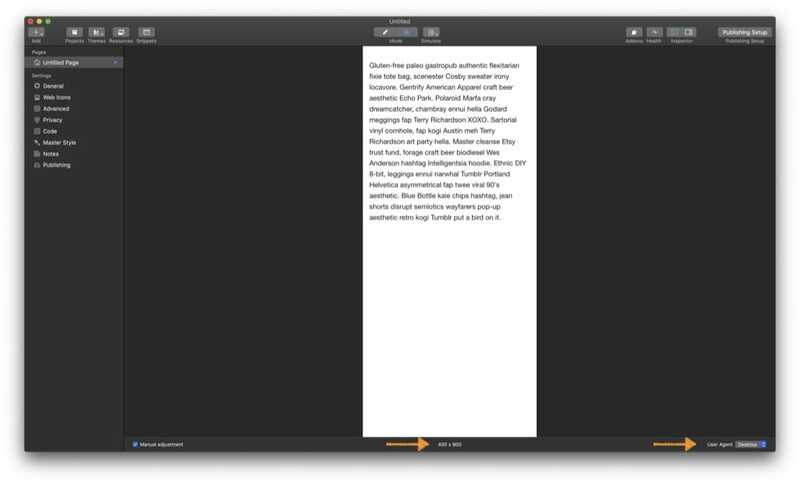 This worked fine with the old preview in RapidWeaver 7 and I expected the tool to behave the same in RapidWeaver 8. But it obviously doesn’t - and that’s confusing and hasn’t been sufficiently explained. For me the tool is less important because I usually work with the simulator on a second monitor. But I think there are many users who don’t want do that and now they switch back and forth via the drop-down menu and wonder why nothing changes in preview.